Enjoy our games room with foosball, pool table and ping pong to keep you busy and happy after a long day. Our lounge areas provide a quiet environment where you can unwind with family and friends. They are also ideal for break-out meetings with colleagues. Our on-site laundry facilities allow you to be prepared for life’s little emergencies. Prepare meals at your leisure in our common kitchen. Located on the 3rd Floor, our movie lounge is a great option for small groups or sport teams to unwind and enjoy a flick. With real movie theatre seats and a big screen television it’s like being at the movies, but you can wear your pj’s. Tired after a long day? Enjoy your evening on our patio and cook dinner on the barbeque. 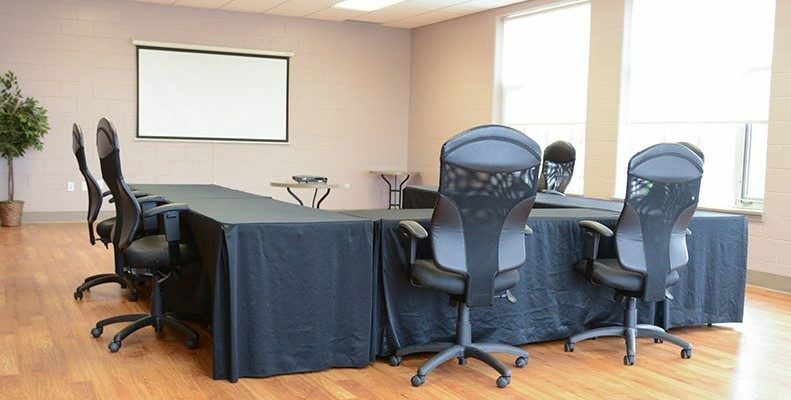 Meeting and convention space is also available on-site!